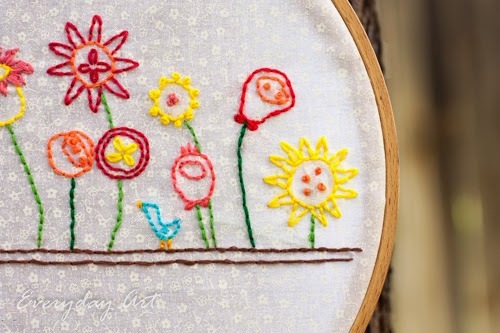 This whimsical little embroidery hoop project sure was fun--all the different flowers and the cute little blue bird. 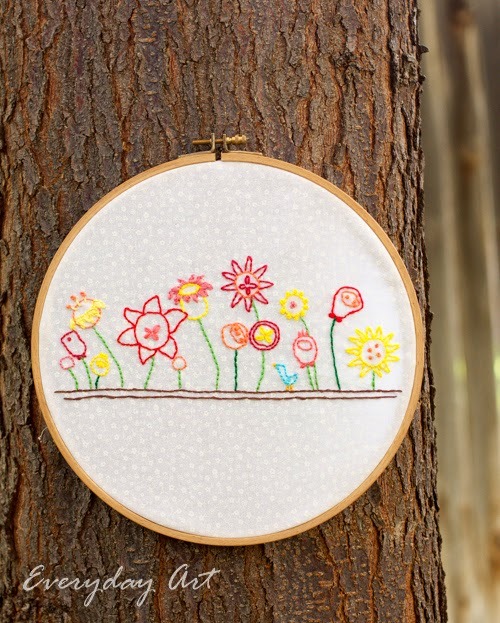 I like that it looks like a flower garden with all the flowers in a line. and I like how the flowers are many different shapes and sizes. 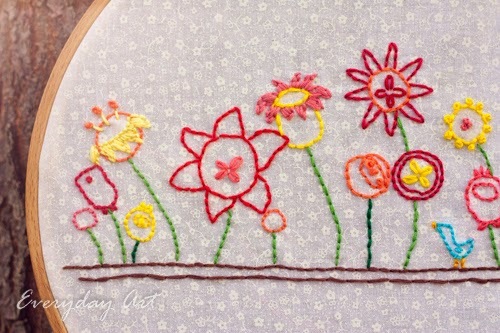 I liked using little french knots for petals and middles. Only one more left and my wall will be complete!